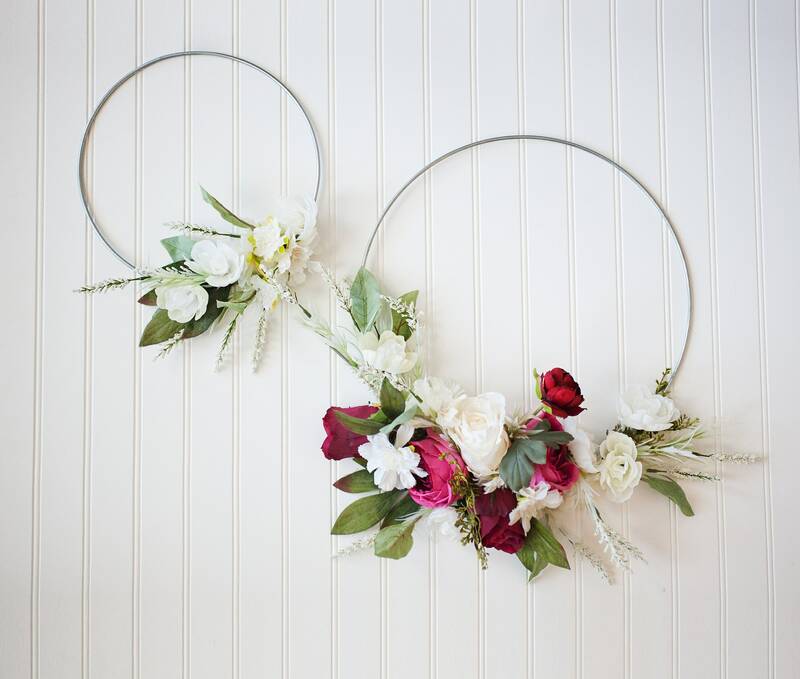 This pair of silver hoop wreaths are part of the Adore Series- a collection of soft, romantic florals in a natural-style composition. 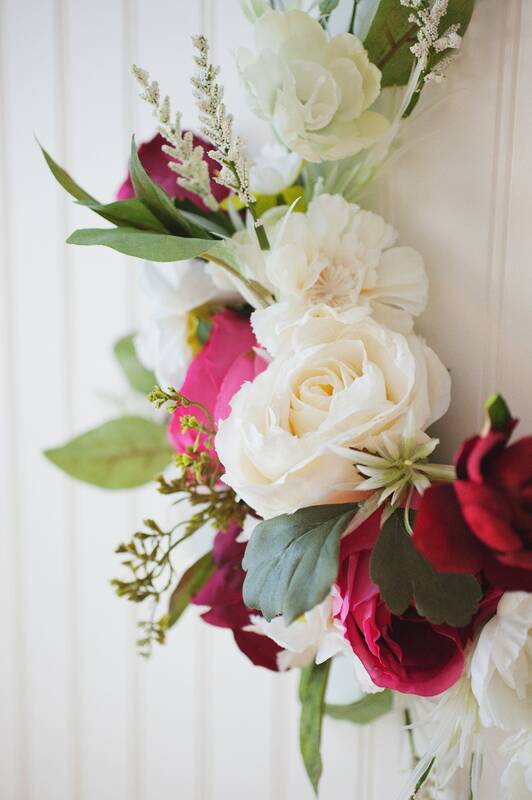 They feature delicate roses and peonies, with soft white flowers & various greenery mixed in. They are sweet and chic, and would be super darling above a crib (or gifted as a baby shower gift!). They would also work well in a photo shoot, or you could even send them down the aisle with your flower girls! These hoops are handmade and are one of a kind, and are the items as-shown, ready to ship. I post wreaths as I create them, and each one is unique! I photograph my wreaths in natural light and some slight variations may occur between your computer screen settings and the product's "real life" colors. 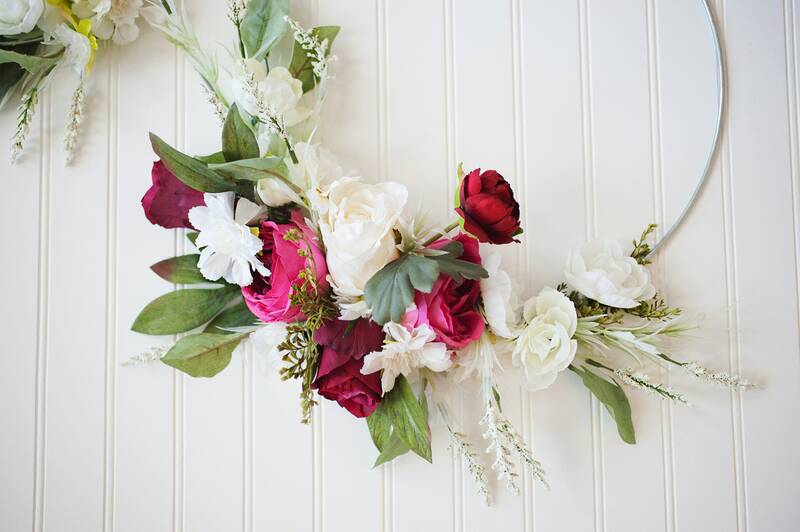 :) These wreaths are made from silk flowers and greenery and are secured on metal hoops with a mixture of floral wire & hot glue (visible on the back, not on the front). 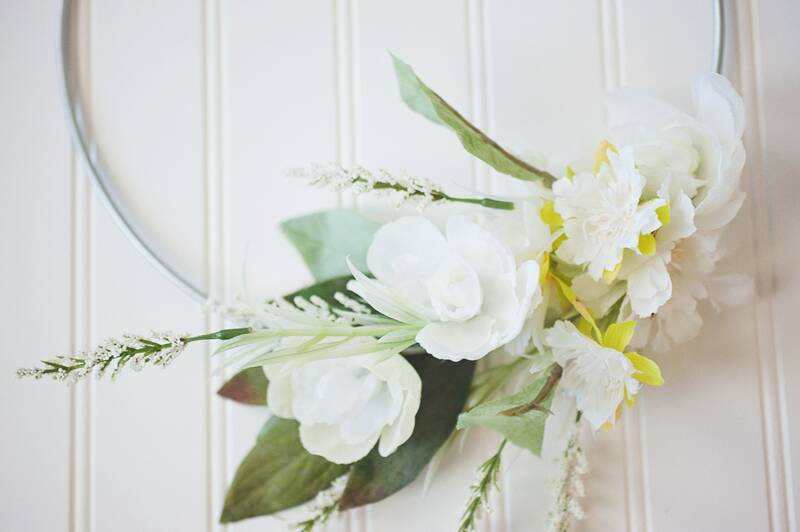 Ships with nail hangers to achieve the "side hang" look, but will also hang directly on a wreath door hanger (not included) with floral burst at the bottom. To preserve your wreaths for years to come, it is advised not to hang or store them in direct sunlight or high temperatures. The finished products are attached to hoop forms that are 14" and 10" in diameter. I take great pride in my handmade items and I will ship these wreaths delicately, wrapped and padded and carefully boxed. My flat shipping prices only apply to the continental United States and Canada. If you live outside of the U.S. & Canada, please contact me for a shipping estimate.